Can you imagine managing your clients without email? How about handwriting your invoices and mailing them? What about never getting paid at the same point in a project, and just getting paid whenever your client felt like it? “Hell no!” you’re saying to yourself, which means you already have some processes in place. But do you have workflows? A process is a way to do something, but a workflow is a string of processes that accomplish a larger goal. Do you think about your larger goals when adding processes? You probably don’t document your processes, because most of them are simple and obvious, so why write them down? Freshbooks is easy enough to use for sending invoices and getting paid. You use Asana or Trello for task management with your team. Your processes are straightforward! You’re likely a 2-5 person agency and you’ve realized that you’re losing money on operational person-hours. You have happy clients, but you’re weighed down by low profit margins because “running” the agency is taking a lot of your time. You have a bunch of processes, but they’re not workflows, and workflows are the keys to improving your profit margins and spending less time on the operations of your business. Let’s fix that by getting you started with building processes into workflows. Agency owners fear that by adding processes and workflows, their agency will lose its human touch. I hear time and time again from partners at agencies that they can’t remove themselves from the day-to-day because their clients hired their agency for THEM. The clients think the partner’s hands and eyes will be on everything. This is one of the biggest misconceptions of client work and the #1 reason why some agencies with great talent and output find is so hard to grow. Your client doesn’t want you to do everything in their project, your client wants you to take responsibility for everything in their project. So take responsibility by building reliable workflows that guarantee success for your clients and stop doing all the work by hand. 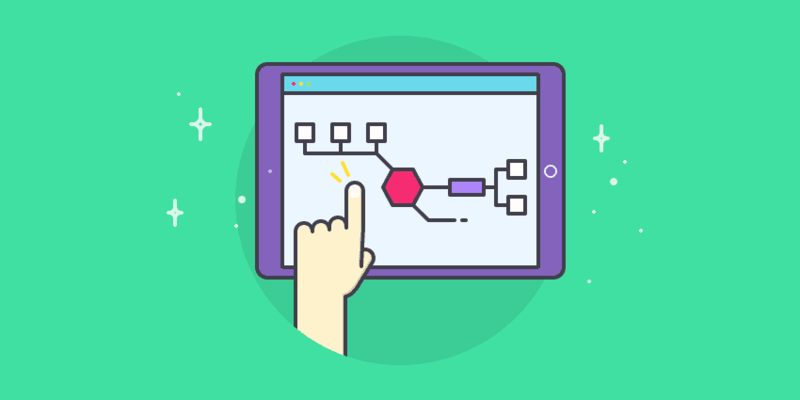 Workflows aren’t solely about automating tasks. The most important feature of a workflow is that it connects processes with an operational procedure. The key is that workflows remove decision making for you and your team. Regardless of who/what does a process, the key is that no one has to decide how it’s done and what comes next, the recipe is already written. A common frustration with SaaS apps is that they don’t “automate” processes. For example, “I want to send a thank you email automatically to clients when they pay invoices.” People who say this will then try out every invoicing tool under the sun and become furious when none send thank you messages. You don’t necessarily need an invoicing system that automatically sends thank you notes! A great and simple workflow is receiving a notification that a client paid an invoice, and using a templated “thank you” note quickly dropped into an email, auto-filing their name, and pressing send. It should take 20 seconds and zero thought. Anyone could do it. The best part of building workflows is that 80% of the work for you is done upfront, and 20% of the work is done in maintenance and iteration mode, where you tweak and improve workflows along the way. Now that we’re ready to get started on the seemingly daunting task of framing workflows, let’s use the analogy of modern plumbing. Can you imagine if we had to go to the lake to pick up water by the bucket? What if we had to take our sewage by the bucket to the water treatment center. Second thought: “I’d spend 1/2 my day doing stuff that’d be so easy to automate via pipes!” But pipes are a process – they get liquid from A to B – they’re not a workflow. So in this analogy, workflow includes where the water starts and where the water ends and the many processes between the start and finish. The water doesn’t start in the pipes and ends up in your glass, it starts in a lake or river and ends up in a water treatment facility. There are a bunch of workflows to be dissected there! More than one individually implemented processes (ie. pipes, valves, faucets, pumps, tanks, and machines). You don’t need to build all of this at once. Let’s walk through a flow that will show you how to methodically build workflows at your agency. First, be the Mayor: you’re responsible for applying the goals of the city into a vision. Your vision is to deliver clean water and remove dirty water from the homes and business of your citizens. 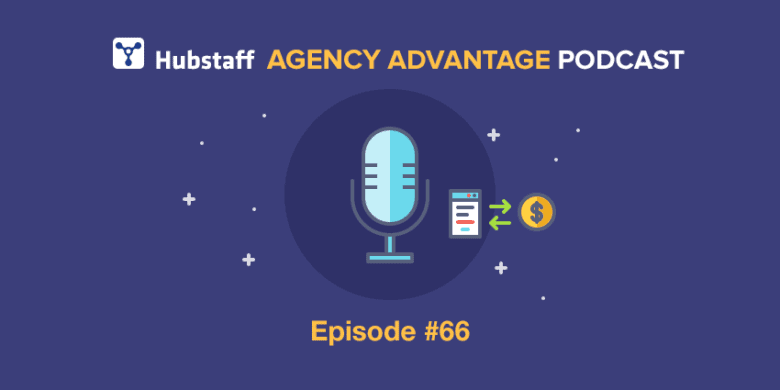 In other words, as an agency owner you have employees to pay, clients to deliver value to, and a business that you’re trying to secure as sustainable and growing. At the end of each client project, your client expects to turn on their faucets and get clean water. Your employees and contractors expect to get to use their skills to do work they can be proud of and also expect to get paid. And you, what do you want? You want to be financially secure, work on projects that interest you, and build a sustainable business. This is your goal, so add your own visionary thoughts and ideas. From a high level, you need to turn your vision into a master plan. The City Planner understands urban environments and cityscapes, and will be able to take the infrastructure plan and think critically about it in the context of the particular city. For you, that means that you need to take the experience you have with your client work already and build a list of requirements while adding their optimal outcome. Optimal: New clients get a standardized flow of emails that include a welcome, questionnaire, a kick-off meeting scheduled, and an intro to how the agency does work. Optimal: A tool is used to keep these client approvals on-the-record and to manage approvals that have passed a due date that will threaten deadlines of the project. Optimal: The text of each of these messages is standardized and there’s an automatic reminder set to send these messages only if what’s needed isn’t delivered. These may seem random, but from experience, they’re selected scenarios that many agencies lose unacceptable amounts of time on. They lose the time because clients miss deadlines and there aren’t internal processes set to remind teammates to be proactive to avoid these missed dates. Although it sounds counterintuitive to the point above, sometimes a good place to start as you plan is to think carefully about the things you wish could be automated (even if you can’t imagine how). Even if the conclusion isn’t pure automation, which it rarely is in agencies, this exercise lets you start with an open mind. What structures need to be in place for those things to happen? Time to put your Architect hat on. You need a sales pipeline for new clients. You need books for payroll. You need a whole load of SaaS apps for invoicing, email, storage, and servers. At this point it may be best to hire a cloud architect to work ensure you have all the required information and expertise. You’re putting all the pieces of the puzzle on paper. You’re defining the boundaries of the processes, and the foundation for all the work that your agency does. The architect puts the pieces loosely together without necessarily attaching them. It’s a mid-level plan that lacks some of the glue to connect the pieces. Grounded in practicality, but still not quite functional (and that’s ok, we’re almost there!). The architect‘s job is implementation. Their work is based on science but executed in the real world where limitations often fall short of the theoretical. Cloud architects are the ones who say it works or doesn’t work and they have the responsibility of reporting back the limitations and tradeoffs for future planning. The engineer or cloud architect has practical knowledge of automation tools like Zapier and email utilities like MixMax & other SaaS architecture platforms. They also have a primary responsibility for safety and reliability. Their goal isn’t just to build a system that gets water from A to B, it’s to make sure that fluctuations in water, and water from different places would work as well and not break the workflows. They know that reliability is about systems that work every time with little effort and thought and that safety comes from reliability and maintenance. Engineers are critical for knowing where the 80% of building workflows is and the 20% of maintenance and improvement falls (mentioned at the top). Engineers also document what worked and what didn’t work. Don’t skip this step or you’ll be scratching your head in 6 months when you want to adjust something. Unfortunately, most people start the workflow process as engineers and skip the vision and planning parts. Now that you know where engineering falls, you’ll be prepared to build workflows that remove the right type of decision making from your agency’s daily and weekly processes. Citizens see clean water come through their faucets and the workflows performed! However, citizens usually move to a city after the water system is built. They don’t see it in progress. This is where the analogy breaks though: your client has a front row seat to your process. So put yourself in the shoes of your client. What is their experience of your workflow? How does it make them feel? What parts are they exposed to and which ones travel silently in pipes under the street? Some of your workflows will be in plain sight, and others will never leave your computer. The goal is to remove decision making, not work. And once you realize what processes and workflows your client is actually exposed to, you can circle back to the reason why they hired you: they want you to be responsible for the project. Do the workflows make you responsible without making you do all the work? If you’re trying to build a sustainable agency, then you need to make sustainable decisions. Your daily decisions should not be disposable. Each action you take should last and be reusable. Why build towards workflows? Because taking the time to do so removes decision making, which removes you more and more from daily processes. 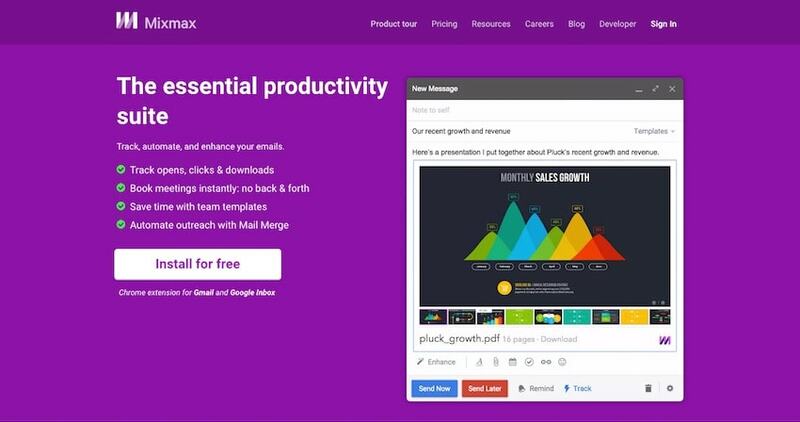 Workflows free you to leverage your time in more productive ways without losing control of your business. Galen Vinter is a co-founder of ClientFlow, a platform that helps teams extract maximum value from client engagements by systematizing teams' client management processes. He built ClientFlow after consulting with clients ranging from startups to Harvard Business School and realizing the void in the market for automating client communication. Galen was a front-end developer and curates Front-end Dev Weekly each week.